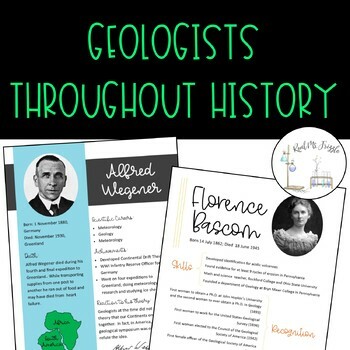 Get your students engaged in learning about six key geologists (Wegener, Hutton, Bascom, Tharp, Seikei, Richter) and their contributions to Geology and Plate Tectonics ⛰. Students will look over the "resumes" of all six scientists and record what they believe were their most important contributions. 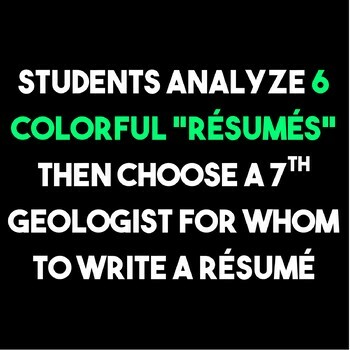 After analysis of the resumes, the students will choose a 7th geologist (from an included list) and design a resume for that person. 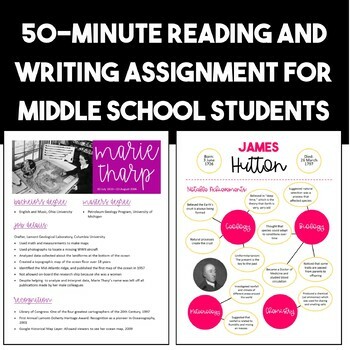 This is a print and go lesson, with only a few minutes of prep time (printing and copying)! 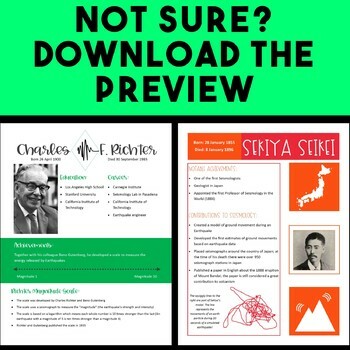 Want to try a Resume activity for Free? ✨ How the Earth was Made--Complete Season 2 GROWING BUNDLE!